CRAZY DISCOUNT! Was: $259.95 Now: $169.96! 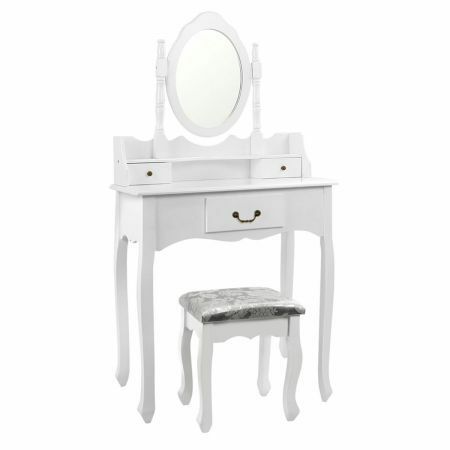 Ever fancy a dressing table in your beautiful bedroom? 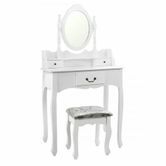 This elegant dressing table features a 360 degree rotatable mirror and a curved design for the convenience of placing your legs. 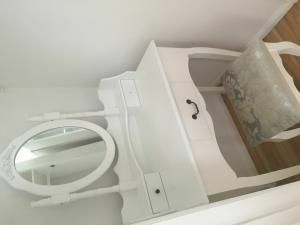 It also comes with a padded stool that is beautifully embroided and well padded. With it's simple and elegant design, it can be easily matched with any room - contemporary, modern, young or sleek.